We recently saw Mark Bodek with Washington Redkins legend Gary Calrk. 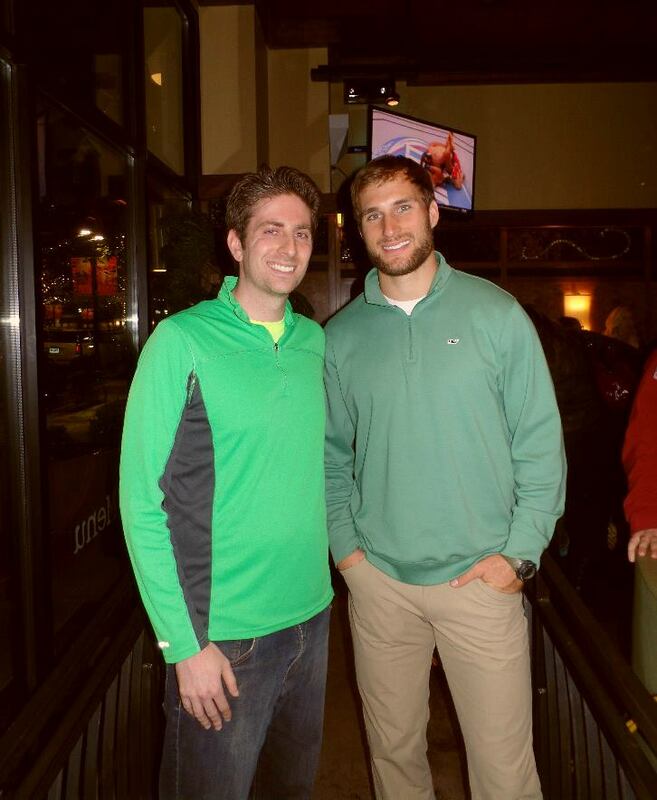 Today, we feature my DC area friend with current Redskins quarterback Kirk Cousins. Mark saw Clark help his Redskins win two Super Bowls (one more than I have ever seen in Chicago). In meetng Kirk Cousins, Mark might have met another player who will help his Redskins get to another Super Bowl. I am envious. I am envious of Mark meeting so many interesting people. I am envious of him having Cousins as a quarterback and of the Redskins organization. The Redskins have been to five Super Bowls in my lifetime and they have won three. The Bears have won one and have been to two. That isn't a huge difference (although it is fairly significant), but it is really more about how good overall they have been. Anyone, I'll saving my Bears complaints for another day. I am glad Mark gets to meet so many great ones. Mark Bodek and Kirk Cousins in Chantilly, VA-November 2015.